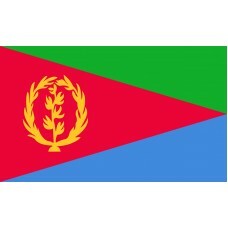 The Eritrea Flag is characterized by a blood red triangle which points from left to right, dividing the design with a green field above the triangle and and blue field below it. The triangle points in the direction like an arrow from left to right. Each color of the Eritrea Flag was carefully chosen for its symbolic meaning. The green area of the Eritrea Flag represents the natural beauty of the country, the blue area to the bottom end of the flag is the same blue as that used by the United Nations, which shows the respect the country has for that institution (The UN administered Eritrea after a period of instability caused by violent conflict with Ethiopia), and the red represents the blood shed during the violent fight for independence. 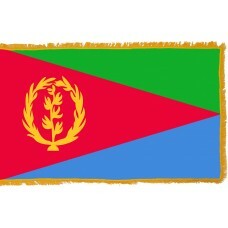 Also featured on the Eritrea's flag is the country's national emblem. This consists of a laurel wreath and an olive branch. The laurel wreath is the symbol of the United nations, and the olive branch is an internationally recognized symbol of peace. The design is derived from the flag of the Eritrean People's Liberation Front. This group fought for independence from Ethiopia for many years, resulting in Eritrea becoming an independent nation in 1993. Eritrea is an African country which sits at the north-eastern tip of the continent, located at the southern end of the Red Sea, which separates Africa from Arabia. This area has been one of the most important in the course of human history, and is featured in sacred religious texts from the Jewish, Christian, and Muslim religions. Ethiopia and Eritrea were part of the same country until 1993. The country's capital city, Asmara, is situated in the highlands, which form much of the country's dramatic and beautiful landscape. They are also the basis of its border with Ethiopia, which lies to Eritrea's south and west. Eritrea and Ethiopia were occupied by Italy from 1889. At that time, this part of the world was known as Abyssinia. 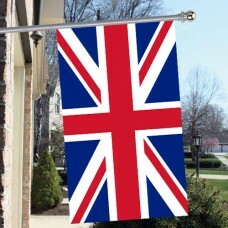 The British empire assumed control of what is now Eritrea during World War II. 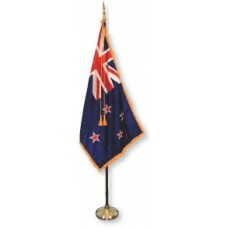 This continued a history of colonization by many empires. Eritrea is a nation of peoples from Africa, Europe, and Asia. In fact, the country has nine recognized ethnic groups, which is a reflection of its central position in both world history and geography. Three languages are spoken in the country - Tigrinya, Arabic, and English. In 1869 the Suez Canal opened, connecting the Red Sea with the Mediterranean sea. The canal was created as a passage to connect Europe and Asia, but also created an opportunity for Eritrea to expand its trade. This has helped to create new economic opportunities in Eritrea which were not previously available.